Successful Event Planning – COMING SOON!!! 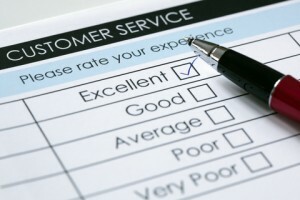 There are many customer service issues that business owners and their staff face on a daily basis. These issues may range from how to repair a relationship with an unsatisfied customer to how to improve phone or email etiquette. Are you the same person at 5 o’clock as you were at 9 o’clock? There’s pennies in the sale – A fortune in the follow-up/follow-through…. Whether you are in business or work for a business, the most important thing we must always remember “EVERYONE MATTERS”. Numerous other programs/seminars and workshops are available that focus on How to Achieve Company Goals, Professionalism, Staying Calm in a Crisis or How To Bring Out the Best in Difficult Employees.. Contact Jan about any of her corporate training services or upcoming events by clicking here. If your event is soon approaching please call 800-332-1924. I attended your communication seminar in Madison on December 11-12. I just wanted to let you know that it was a wonderful seminar and I learned so much in two days. I have tried some of the skills I learned from you and it really works. You are an awesome instructor and I would absolutely recommend one of your seminars! Thank you so much-you’re great.